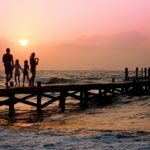 Most actions for divorce in New Jersey are started by filing a Complaint for Divorce in the Family Part of your County Courthouse. In a Collaborative Divorce, rather than rush into litigation and be subjected to multiple mandatory court appearances, the parties meet and sign a participation agreement. The parties then attend sessions with their attorneys present to reach a settlement agreement on all issues including but not limited to: alimony, child support, custody, and division of assets. Once the settlement is reached and signed, the Divorce Complaint is filed by one party or the Plaintiff. Ultimately, the Plaintiff or both parties (Plaintiff and Defendant) will appear in Court to obtain a Final Judgment of Divorce, which is a formal document dissolving the marriage. The written settlement agreement along with the Judgment of Divorce make up your divorce documents which need to be retained by you forever. Whether you chose the path of Collaborative Divorce or litigation, the same NJ statues, laws, and case precedent applies as relates to alimony, child support, child custody, parenting time/visitation, and division of assets also known as equitable distribution. Litigation is the term used by attorneys to describe a divorce that is proceeding through the typical court process. After a Complaint for Divorce is filed, the first appearance by your attorney is at the Court for a Case Management Conference at which time the attorneys will advise the Court what issues arise as part of your divorce. These issues typically include: alimony, child support, custody, payment of counsel fees. life insurance, and division of assets also known as equitable distribution. Depending on the county within which your divorce is taking place, you may need to appear in Court for the Case Management Conference. This typically means having to take a day off from work and ensuring childcare for your children. 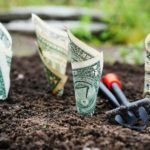 If you are going through a Collaborative divorce in NJ, neither your attorney nor you have to go to this appearance, which can save a significant amount of money in legal fees. In addition, if you have children you will need to attend the Parents Education Program, this is a 4-5 hour program which takes place at the Courthouse. N.J.S.A. 2A:34-12, mandates that parents must attend a Parents’ Education Program in all divorce cases in which custody, parenting time, or child support is raised as an issue in the complaint or answer/counterclaim. The workshop is designed to inform families about their children’s needs as they move thought the difficult transitions of separation and divorce and to introduce parents to the mediation process as an alternative to traditional litigation for resolving parenting matters. Program speakers include a Family Mediator and two licensed clinical social workers. 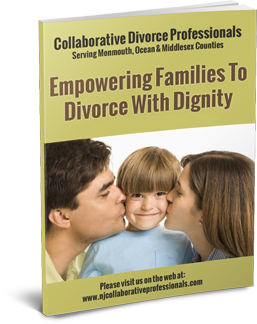 In a Collaborative Divorce you do not need to attend this program, again saving you time off from work and the need for childcare. You and your spouse are scheduled for the program on different days. The next mandatory appearance for you and your attorney is the Early Settlement Panel (ESP), wherein you will receive a brief lecture from the Judge advising you of the need to consider the settlement options as recommended by the panel of attorneys you will meet that day. This is considered a “long” day in court, most attorneys advise their client’s to take the entire day off from work. You and your attorney will prepare an Early Settlement Panel Statement which will be produced to the panel of attorneys. 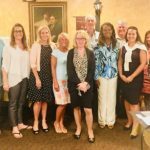 The panel of attorneys is typically made up of two attorneys who are experienced matrimonial attorneys that volunteer their time to the Court to help resolve matrimonial cases. If your case does not settle that day, you will be scheduled for Mandatory Economic Mediation which will take place at an attorney’s office that is a Court Appointed Mediator. If you are unable to settle your case at that point, your case will progress to trial, which will require many more mandatory all day appearances, including in some cases attending Intensive Settlement Conferences at the Courthouse and Pre-Trial Conferences. Your legal fees will increase significantly with each mandatory court appearance. A Collaborative Divorce typically requires only one appearance in Court and that is for your actual Divorce, therefore from that perspective alone a Collaborative Divorce can be significantly less costly than a Divorce which involves litigation. 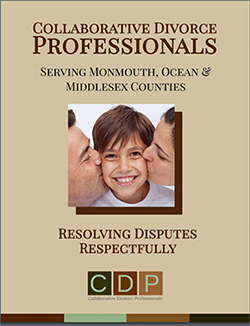 The New Jersey Legislature has passed statutes, and the Courts have made decisions, called precedents, that supplement the laws passed by the Legislature, together the statutes and cases provides a comprehensive body of law that covers hundreds of issues arising in a divorce. As comprehensive as the law may be in this area, issues in divorce are very fact specific and often there is no simple answer. There are Child Support Guidelines that have been promulgated that presumptively apply for families who make less than $187,200.00 net (after taxes) per year. There are no guidelines for alimony, but there are general statutory factors that are to be considered by the Court, see N.J.S.A. 2A:34-23(b) for the specific factors. For property distribution, New Jersey is an Equitable Distribution State. This means that there is no automatic exclusion or equal division of assets and liabilities acquired during the marriage, but rather there are a number of factors the Court is to consider to arrive at a fair division, see N.J.S.A. 2A: 34-23.1 for the specific factors .